Alliance more than triples membership and doubles flights in first decade, adds Air Europa, Kenya Airways and TAROM as full members. Renewed its membership program, thereby making Air Europa, Kenya Airways and TAROM full members of the alliance. From its founding in 2000 by Aeroméxico, Air France, Delta Air Lines and Korean Air, SkyTeam has grown to 13 members in 2010, including the recent addition of Vietnam Airlines and this Friday’s planned addition of Romanian carrier TAROM. SkyTeam carriers today offer approximately 13,000 daily flights to 898 destinations in 169 countries, up from 6,402 daily flights to 451 destinations in 98 countries at its inception. SkyTeam’s 10-year anniversary also marks the introduction of a new membership program, to better match with the alliances’ growth ambition. The former Associate Airline program served carriers, including current partners of alliance members, who were interested in alliance benefits but did not yet meet all strategic criteria necessary to become full SkyTeam members. 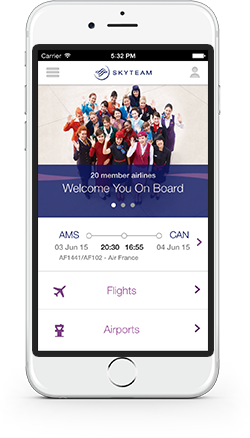 It allowed SkyTeam to build a broader network and provide customers with access to additional regions of the world. With a higher degree of maturity reached in alliance development and integration, SkyTeam now fully integrates all members into the alliance. With this reclassification, Air Europa, Kenya Airways and new member TAROM will now also be referred to as Member airlines. This change will reinforce the cohesion among the partner airlines. For the customer, there will be no differences.